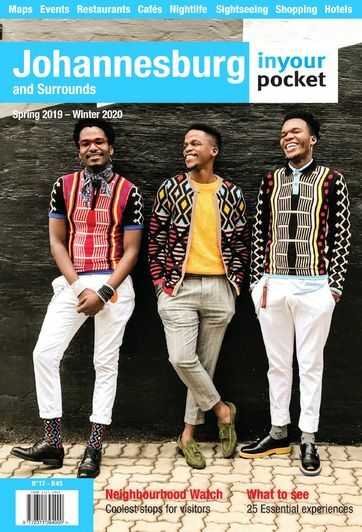 On the first Thursday of every month you can look forward to contemporary art, live music, DJ sets, poetry, performance art and pop-up bars in Braamfontein and Rosebank as part of First Thursdays, an after-hours cultural event that takes place in both Joburg and Cape Town. 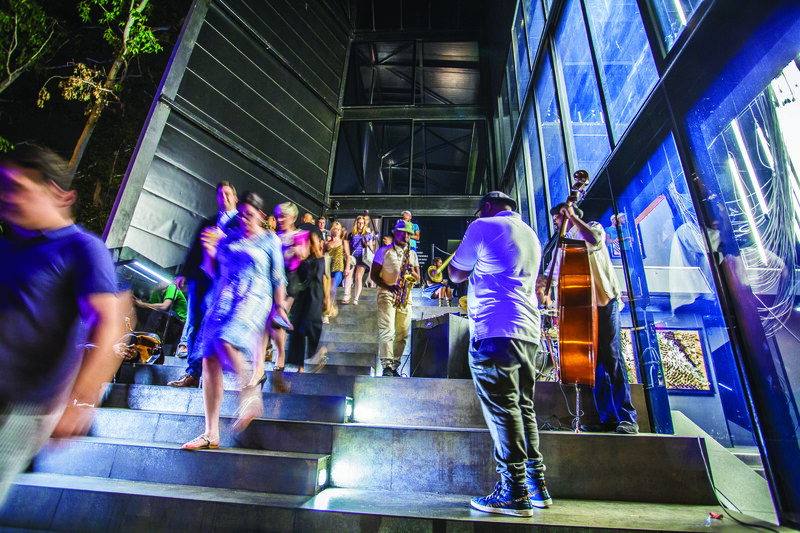 Joburg is a sprawling city so it is best to choose one area in which to spend the evening. 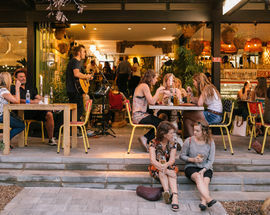 You can collect a First Thursdays guide detailing the night’s events at all participating art galleries. Entrance to venues is usually free, and most events start from 18:00. 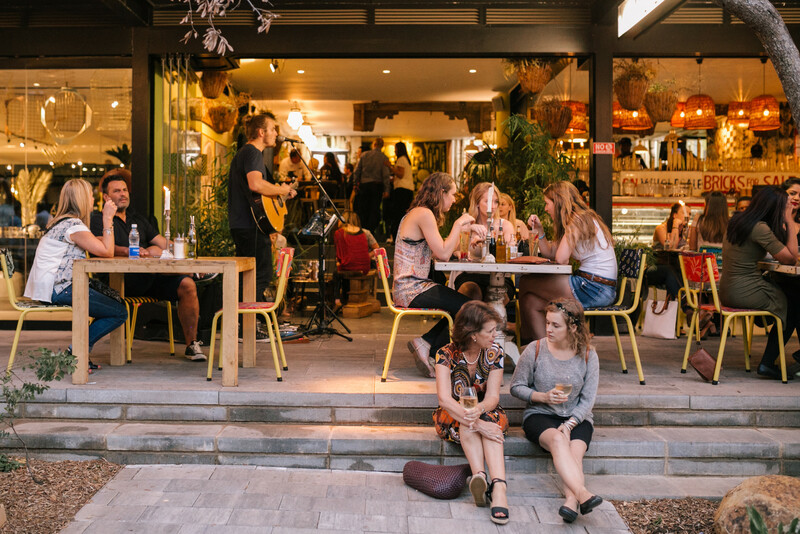 With its many bars and large student population, you’ll find a real party atmosphere here. 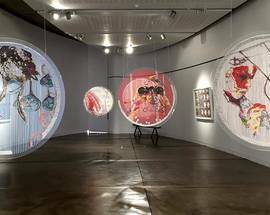 Look out for exhibition openings and art events at contemporary art galleries like Stevenson, Kalashnikovv Gallery and Wits Art Museum. 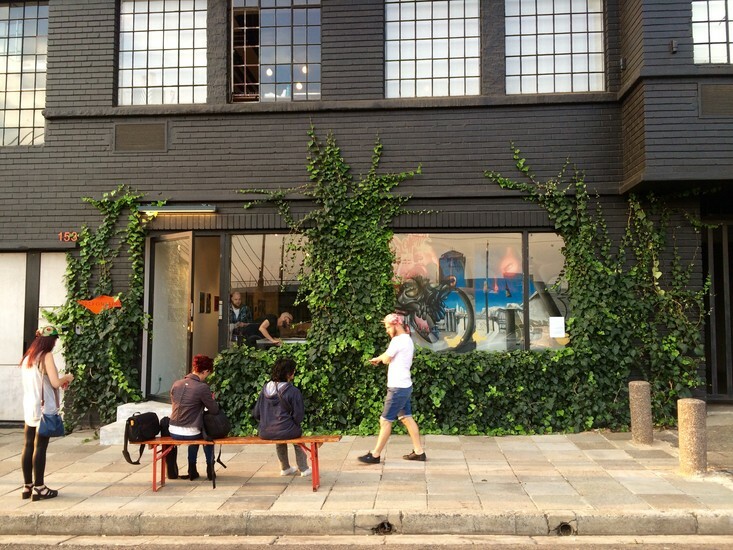 Braamfontein’s numerous bars such as Kitchener’s and The Bannister Hotel Bar, and hip fashion stores like Puma Select also usually host late-night DJ parties as part of First Thursdays. 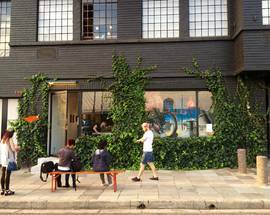 Find out what's happening at First Thursdays Braamfontein this month here. At the contemporary landmark development Keyes Art Mile (corner Keyes Avenue and Jellicoe Avenue) there's a street party atmosphere with a section of the road closed off to traffic so that food trucks, pop-up bars and a small stage for live performances can be set up on the street. 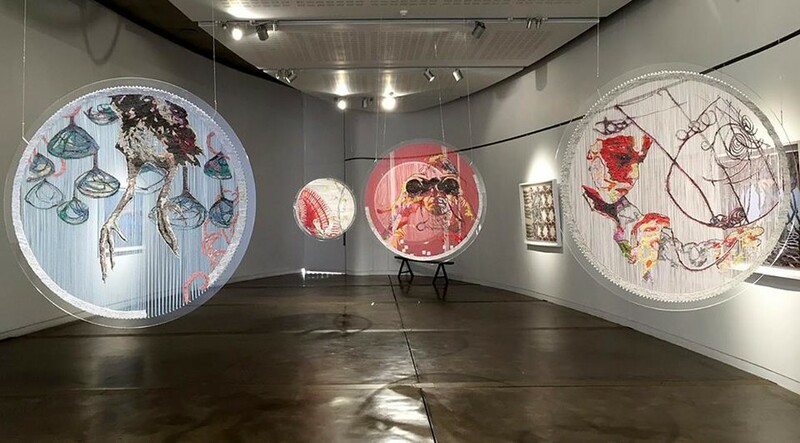 The event is ticketed to make sure that you can still access the art and early birds can get free tickets online, otherwise tickets cost R65 online (book here) or R100 if bought at the venue on the night. Keyes Art Mile often brings in brands to sponsor the event, meaning each month the street party is different. 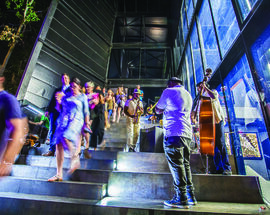 In addition to the street party, there are art exhibitions and pop-up art installations to enjoy and the option of heading upstairs to the cool Mix Cocktail Bar for sundowners on the terrace. Meanwhile a few blocks down Jan Smuts Avenue on Joburg’s Art Gallery Row, drop by for exhibition launches and artist walkabouts at leading galleries such as Gallery2, Lizamore & Associates and David Krut Projects and hang out at one of the bars and restaurants clustered around Bolton Corner such as Coalition, Saigon Suzy or Bolton Road Collection. 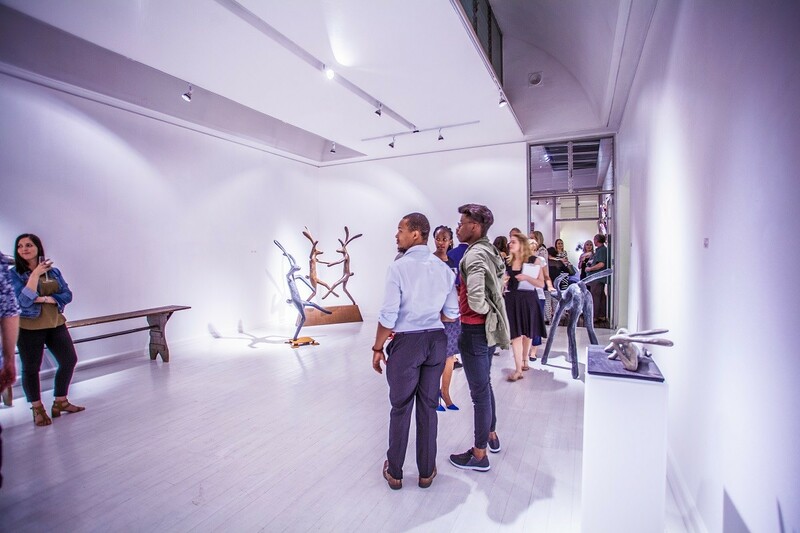 Find out what's happening at First Thursdays Rosebank this month here. 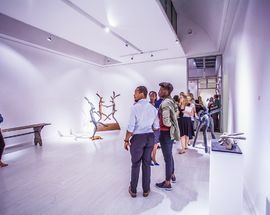 Located on Parkwood's gallery strip, this fine art gallery and art consultancy showcases contemporary art from emerging and established South African artists. 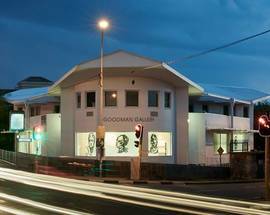 Specialising in fine art this gallery promotes a cross-section of established and emerging contemporary South African artists.